Every day, the news can seem like it's full of gloom and doom. Yet there are countless unsung stories of promise; stories of hope; stories of people creating innovative solutions to some of society's greatest challenges. Pulitzer Prize winner Tina Rosenberg, the co-founder of the Solutions Journalism Network, will be talking about the growing movement to report on good news, and what this means for our future. 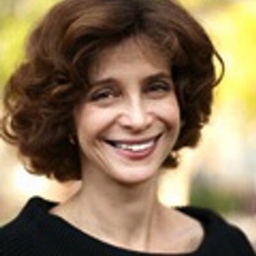 Tina Rosenberg is an American journalist and the author of three books. For one of them, The Haunted Land: Facing Europe's Ghosts After Communism (1995), she won the Pulitzer Prize for General Non-Fiction and the National Book Award for Nonfiction. She earned her bachelor's and master's degrees from Northwestern University. In 1987 she won a MacArthur Fellowship, which she used to move to South America. Her experiences there led to her first published book, Children of Cain: Violence and the Violent in Latin America (1991). Rosenberg's work has appeared in The New Republic, The New Yorker, and The Washington Post. She is a fellow at the World Policy Institute and an editorial writer for The New York Times who frequently writes for The New York Times Magazine. In 2013, she founded the Solutions Journalism Network with David Bornstein and Courtney Martin. Her latest book is Join the Club: How Peer Pressure Can Transform the World (2011).